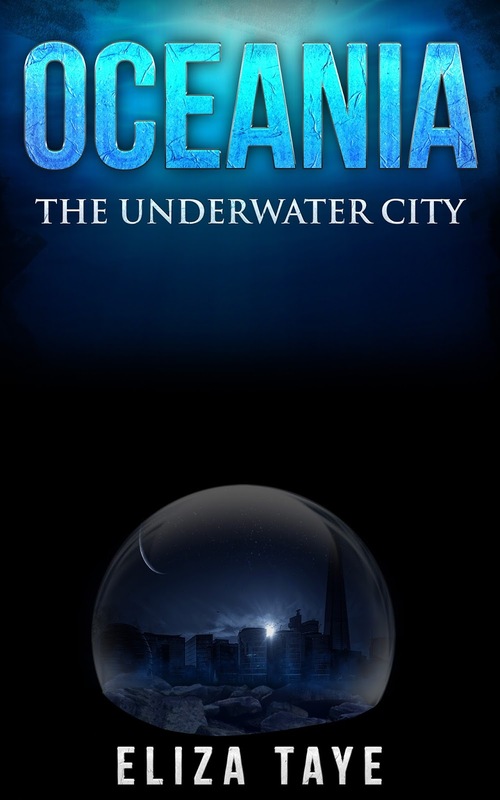 To start off my book-specific blog, I thought I would talk about my inspiration for my debut novel Oceania: The Underwater City. I’ve been a long-time fan of sci-fi and I’ve always enjoyed reading stories about people living in space. However, I began to wonder, why not under the sea? It feels like there are so many books about living in space, but most of the ones that I’ve found about permanent undersea habitation have some relation to Atlantis. If you ever find or know of any other books with full time underwater human inhabitants, please let me know. I would love to read it! In addition, in these space sci-fi books, humans are usually in space because Earth is either uninhabitable or gone. So, I began to toy with the idea of what if Earth was damaged but recovering? Logically, it would be extremely difficult to get every human up into space based on all the requirements an astronaut needs to pass before going up into space. The ocean seemed to become increasingly viable as a last-ditch effort for humanity. I wanted to create a story where the ocean would be the new human habitat. At first, I didn’t know what kind of plot the book would have. All I knew was that I wanted a girl to stumble upon this city where she’d make a new friend—that was pretty much it. More than a TV show, video game, movie, or book, my love for the ocean and ocean conservation inspired this novel. I wanted to get people excited about the possibilities of not only underwater living but underwater exploration. It’s why Allie has so many underwater adventures outside the city. It was important to me that marine life was featured in the novel just as much as the city was. I also made sure to include marine life that isn’t always widely depicted in popular media. Of course, you’ll find dolphins, sharks, sea turtles and the like in my novel, but what about the bat star (Patiria miniata)? The gooseneck barnacle (Pollicips polymerus)? What about Phyllospadix torreyi or commonly known in the US as surfgrass? These species are important, too, but it’s easy to remember the iconic marine life and forget about the others. In addition to showcasing marine species not often talked about outside of ocean documentaries, I wanted to portray species often thought of as scary in a different light. I purposely described Allie’s first underwater view of a great white shark as a peaceful one instead of a fearful one. She sees the majesty of the shark instead of a fearsome beast. The same goes for the deep-sea fish she encounters later in the novel. The descriptions are meant to awe the reader instead of scare them. My last inspirations for this novel came from all the marine explorers from Jacques Cousteau to Sylvia Earle to James Cameron and everyone in-between. Without them, the ocean would be even more of a mystery.